Day 1 – Friday. Welcome to Venice! Your adventure starts with a first immersion in the Venetian atmosphere. In the evening we meet, local style, with a welcome drink: spritz and cicchetti! Yes, you have to learn some useful Venetian words! Day 2 – Saturday. Exploring the lagoon: the landscape. The adventure continues with a day boat tour to see the features of the lagoon landscape. Walking on a sand bank, visiting different islands, tasting local products will be the experiences of the day. In the evening you share a dinner with a local family. 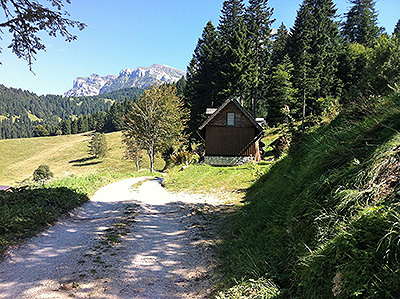 A road tour to visit the Euganean Hills near the city of Padua. 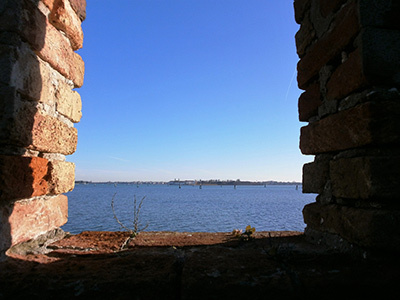 We see the stones of Venice, the waterways, some works done to preserve the lagoon environment, the Venetian Villas and we have some great food and wine experiences. 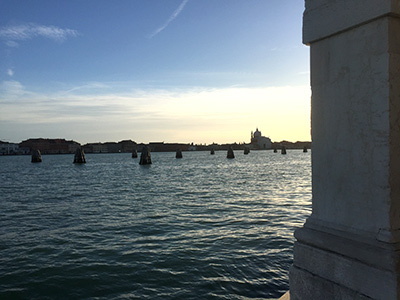 Day 4 – Monday be a local in Venice! It’s an early wake up! But you want a local life don’t you? The Rialto Market of Venice is a real play and you have to participate. 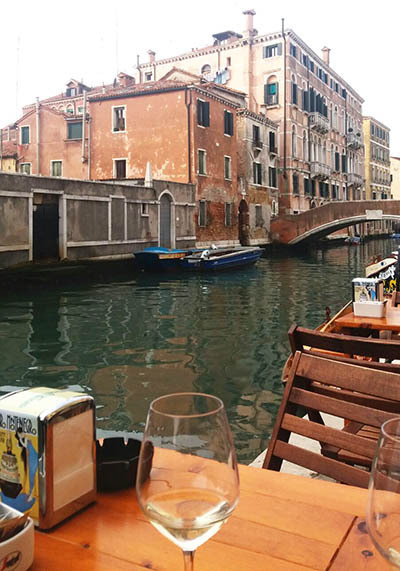 It is time to collect things and memories and have a farewell aperitif Venetian style. In the evening we meet up, local style, with a welcome drink: spritz and cicchetti! Yes, you have to learn some useful Venetian words! 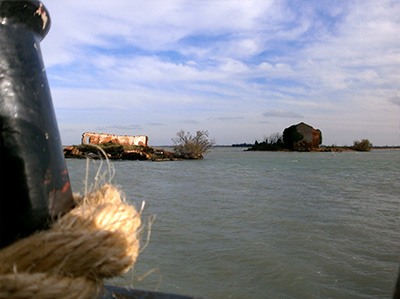 The adventure continues with a day boat tour to see the features of the lagoon landscape. Walking on a sand bank, visiting different islands, tasting local products will be the experiences of the day. Day 3 – Sunday. Exploring the countryside: the stones. Day 4 – Monday. Be a local in Venice! It’s an early wake up! But you want a local life, don’t you? The Rialto Market of Venice is a ‘real play’ and you have to partecipate. Boats and ships of Venice complete the day with a guided visit of Museo Storico Navale and Arsenale. Alternative: it’s time for you now to try the Venetian style rowing! In the evening you share a dinner with locals. Day 5 – Tuesday. Exploring the lagoon: the works. A boat tour to see and understand the hard work done and still in progress to manage the life in Venice. A short walk on a dam, an unexpected visit to a bird sanctuary with the skyline of Venice in the background will be the features of the day. Day 6 – Wednesday. Exploring Chioggia. 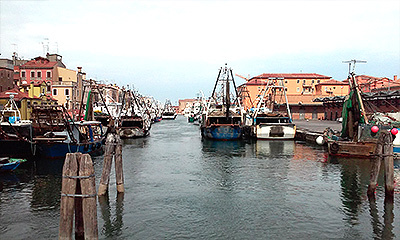 A tour to the town, one of the main fishing ports of the Adriatic sea. The authentic and joyful atmosphere of this little place, not to mention the museum of the lagoon are worth the visit, believe us! Day 7 – Thursday. Exploring the countryside: the woods. Today we leave Venice and explore the region in order to better understand the city! 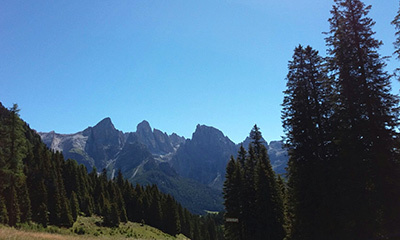 This is a road journey to the Venetian Alps, where we full immerse in the woods, stones, rivers of the Most Serene Republic! Of course without forgetting the food and wine of the present time. Day 8 – Friday. Leaving Venice! It is a relaxing day with time to collect things and memories; strolling down as a local and have a farewell aperitif Venetian style.